March was a blur. I’ve got lots going on at my day job recently, so I haven’t really been concentrating on my sewing (or blogging!) this month. I did get a few things done though. 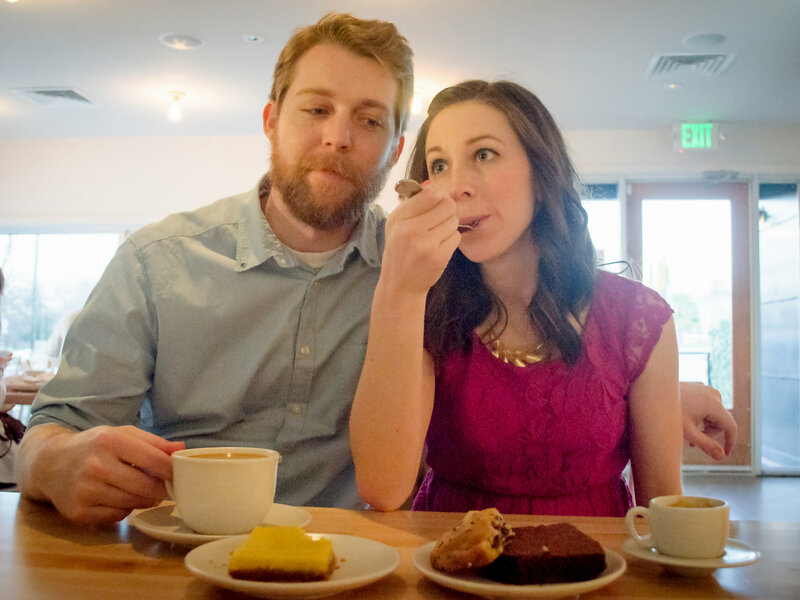 I’d love to share with you! 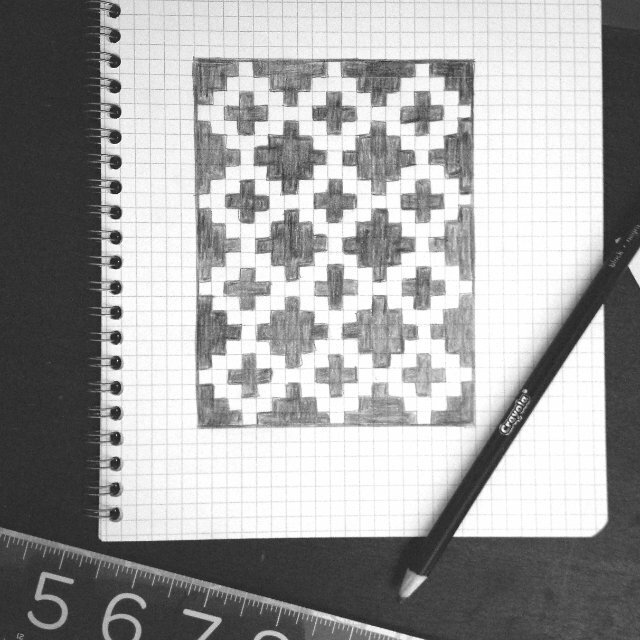 I’m excited about this southwestern inspired quilt design. 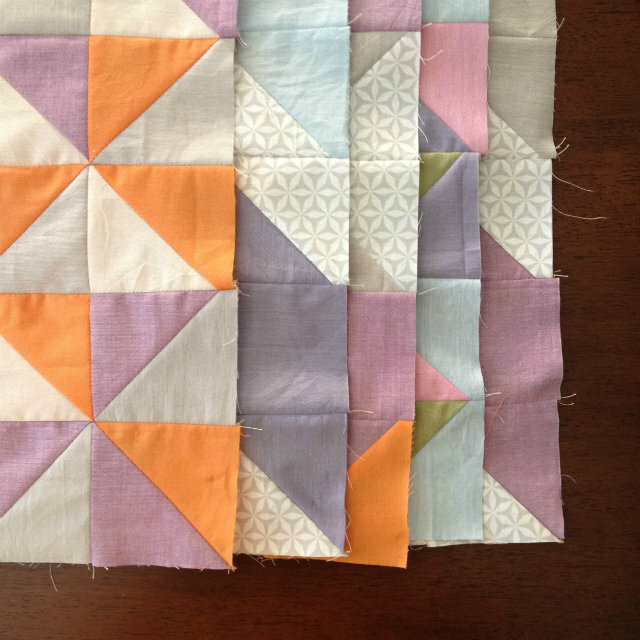 I’m picturing this pieced with lots of low volume white and cream scraps, combined with a mix of black scraps. I think it will be a good lesson in contrast, AND hopefully be a good way to use some of the random fabric I’ve got in my stash. My art quilt bee is doing a Spring/bird themed challenge that I’m working on. Here’s a sneak peak at some of the pieces that I’ve cut out so far. Lots of bright solid silhouettes that are all going to come together (hopefully!) 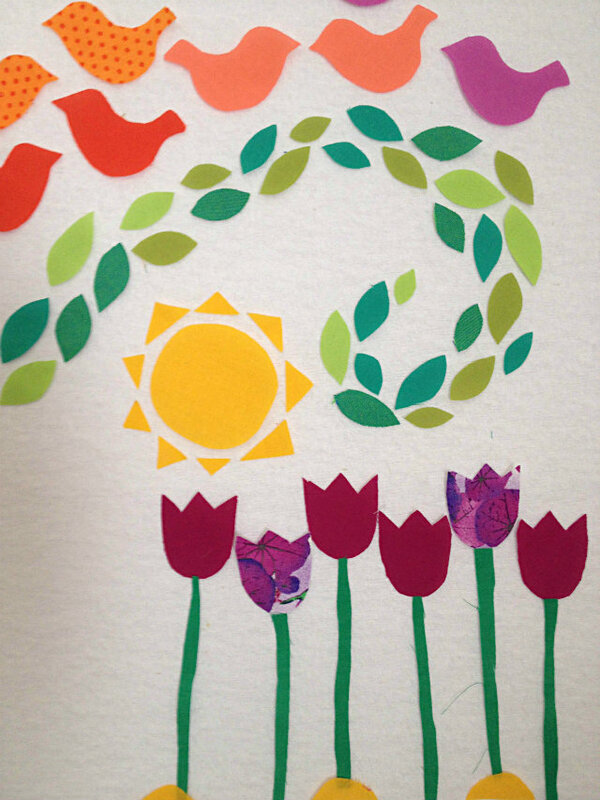 into a fun Spring scene. For this project I’m going to try out a technique that Yoshiko Jinzenji taught at QuiltCon this year. 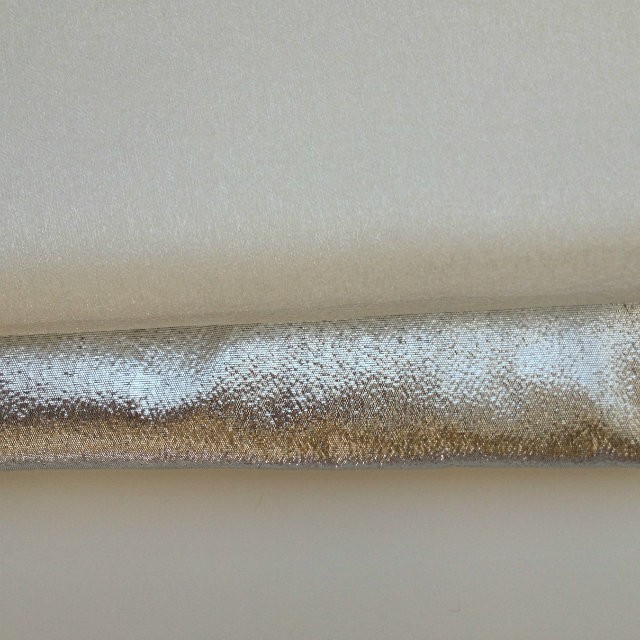 It involves silver lamé layered with a shimmery sheer organza. I can’t wait to share this process with you. More photos soon! My shot cotton quilt blocks came down off the design wall. Instead of a quilt, they might be turning into some placemats or something completely different. We’ll see – I’m not calling them a failure, yet. I still love the fabrics, but these blocks don’t go well as a complete quilt, so it’s time to take them in a different direction. 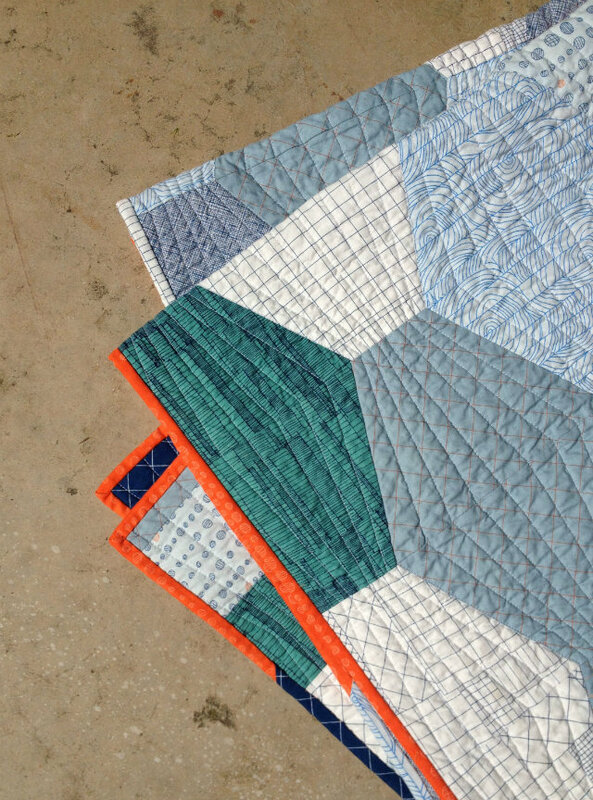 I’m ashamed to say I only worked on John’s quilt once this month! 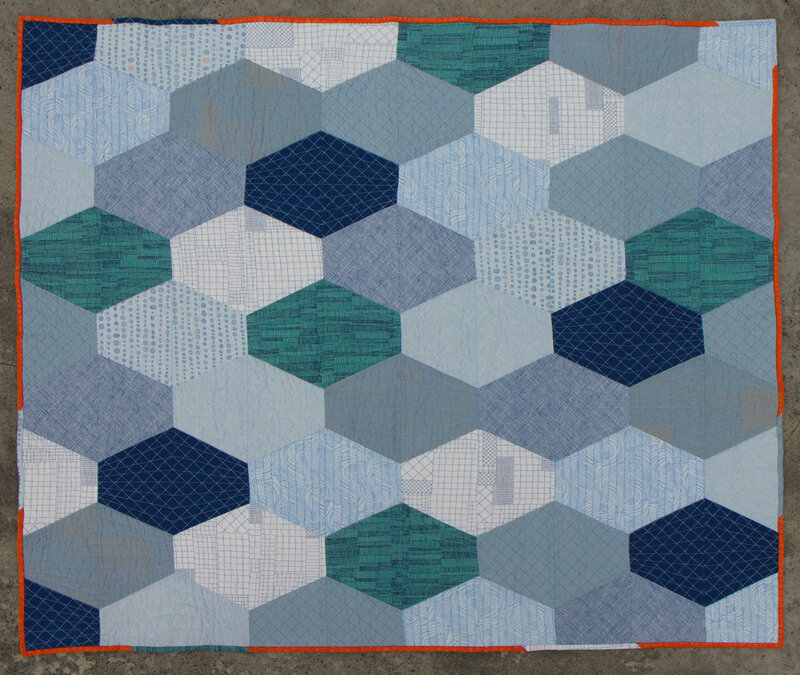 I need to set a goal and concentrate on finishing the quilting for this one. I’m probably 25% done. At this rate, my poor husband isn’t going to have a finished quilt until next year, so I better get to work. I finished my stretched hexagon quilt! It’s called Stretched Hex Number 4. The Carolyn Friedlander Doe prints go so well together, I just love them. 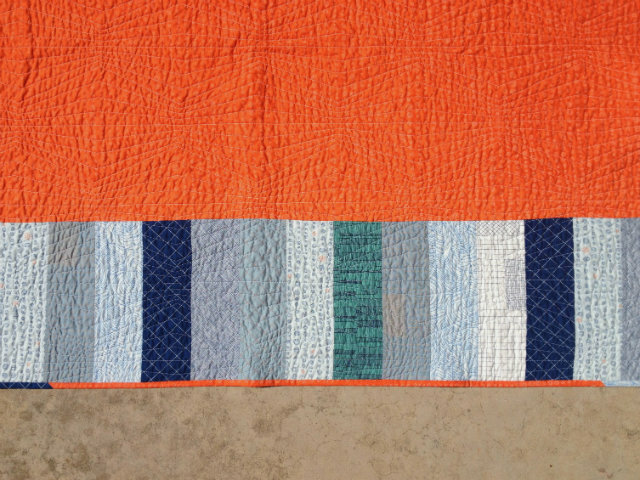 The backed is pieced with a row of leftover blue fabrics from the front, combined with a super bright orange fabric from the same line. The contrast adds a fun surprise, I think. 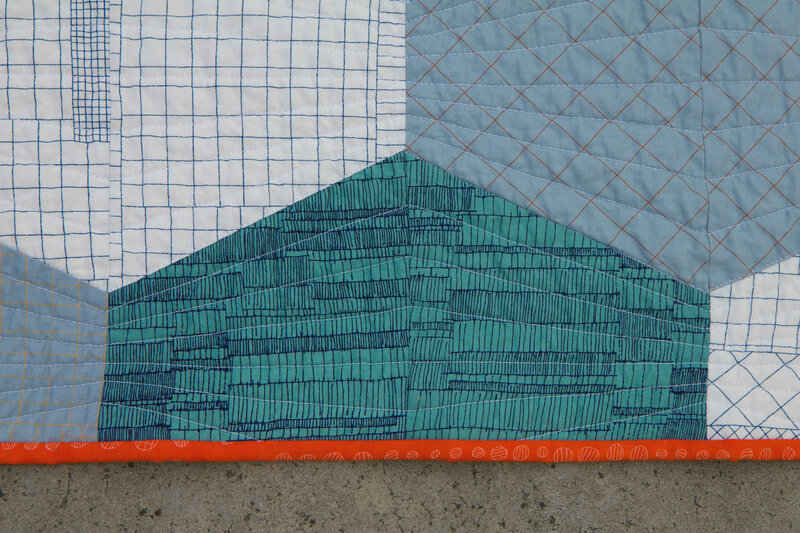 The binding is more of the orange, with a few tiny bits of blue mixed in. I quilted this one on my domestic machine with lines that echoed the hexagon shapes, and I think it gives it great dimension. So happy with how it turned out! 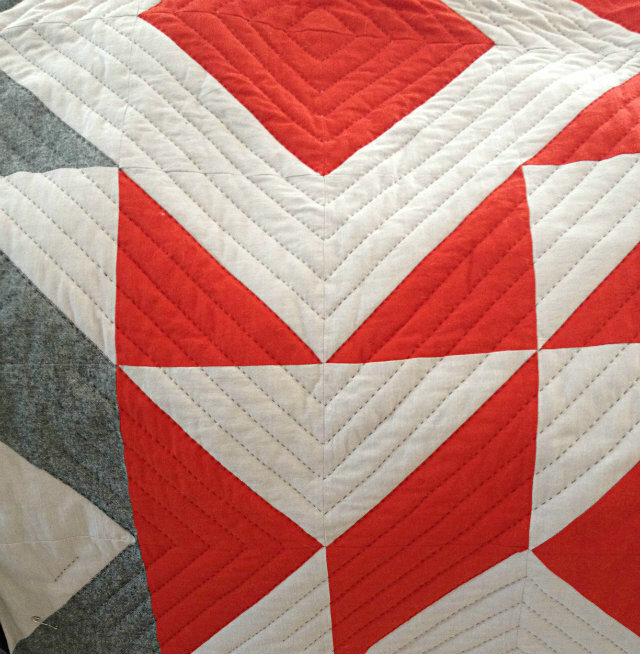 I love this quilt so much, I want to make another one like it with another bundle – right now I’m loving Follie by Lotta Jansdotter. So far I’ve really enjoyed sharing my recent projects, I think it’s helping push me to keep going and complete what I’ve started. Thanks for tuning in, I hope you are enjoying the process, too. Here’s to a sewing-filled April!